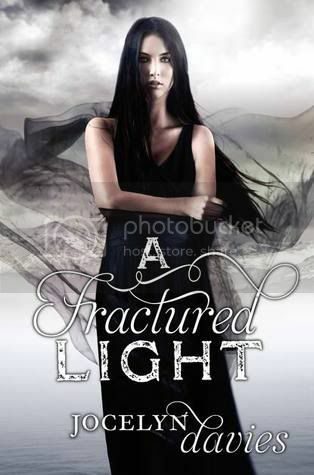 A Fractured Light picks up right after A Beautiful Dark‘s shocking cliffhanger ending and is perfect for fans of Lauren Kate’s Fallen and Becca Fitzpatrick’s Hush, Hush saga. Ah! I am so excited to read A Fractured Light! Last year, I read A Beautiful Dark, and really enjoyed the storyline. I can't wait to see where Mrs. Davies takes us in this book! #TeamAsher! Oooh I love the cover! Oh, this reminds me I yet have to read the first one. Oh I haven't seen the cover yet!!! It's so awesome, I enjoyed the first one and I loooove Angel books!! Great pick! I really need to read A Beautiful Dark. This book sounds like it's full of awesome! OOOh that looks intriguing! I like that cover a lot! Must find first book now before reading more about book 2! This one is on my wishlist. The cover is beautiful! This sounds good. I liked both Hush,Hush and Fallen, but haven't read the rest of either series. I liked A Beautiful Dark but it wasn't a favorite of mine. I might pick this one up just because I can't wait to see what happens! Great pick, Christy! YES! Even though I had some trouble with the love triangle aspect of this one, that ending absolutely floored me and I need to get my hands on this one asap so I can know what happens! Also, that cover is stunning. LOVE IT! Soo excited for this one. Still need to get a finished copy of A BEAUTIFUL DARK, but loved it so much! Hated the cliffhanger though and really need to know how this continues! :) Awesome pick! I love the cover for this one. It's so beautiful! Gah! Yet another I never got to! I think A Beautiful Dark is still on my Kindle. I'd better get to it so I can get to this pretty second one. I haven't seen this one...thx! I didn't looove A Beautiful Dark, but I still enjoyed it. And chyeah I'm totally #Team Asher. Like, that's a no-brainer. That's a nice cover! I haven't read the first book, have to get to it soon!